The last 37 days have seen a wave of strikes and occupations at postal facilities across Canada, as the Canadian Union of Postal Workers looks to negotiate a new contract with Canada Post. The biggest days of action were [November 26 and 27], with strikes and/or occupations in Halifax, Deer Lake, Moncton, Edmonton, Mississauga, Thunder Bay, and Truro, among other cities, and blockades at transportation hubs in Toronto. All of this ended at noon Eastern time yesterday, as legislation went into effect forcing postal workers back to work. There was some question as to whether union leadership would encourage workers to defy the legislation, but this has not happened. The union leadership is instead now switching to a strategy of political protest and non-violent disobedience. In Montreal yesterday, CUPW (with help from the IWW) occupied Prime Minister Justin Trudeau’s office. A larger day of action is planned for December 1. The focus on Trudeau comes not just because his Liberal government has legislated postal workers back to work. His government has also come under fire now that General Motors plants are closing in Oshawa, Ontario, and Bombardier is laying of 5,000 workers, when both companies received bailouts in recent years. Canada Post workers were also legislated back to work in 2011, during their last contract negotiations. I spoke to a postal worker in Edmonton yesterday. What’s happening there? How are you doing? I’m very tired. I’ve been up since 11 o’clock last night. I’m night shift, so I started at midnight. The majority of people walked off at 6:00 AM (we found some scabs in the plant so we had to go yell at them and they went and hid). That’s when the occupation and picket line started. And then it ended at 10:00 AM because the legislation went into effect at noon Eastern time. So did the union leadership call off the strikes and occupations in time for that deadline? I believe so. That’s certainly what happened here. The message seems to be to hold off on further action until whatever ten-day period of “negotiations” – I’m using scare quotes because it’s not really proper collective bargaining since we’re legislated back, so we’ve lost a lot of our bargaining power. I actually had to resign as a shop steward today because there are fines attached to the legislation. It’s $5k per day for shop stewards, and $1k per day for individuals. So if we were to do future job actions, and the fines were to go through, I’d rather be fined as an individual. I’m not sure I should comment on what the national leadership strategy is, but myself personally, I’m a bit disappointed we’re not defying the back-to-work legislation. But that’s going to vary by who you talk to. Tell me about some of the issues you guys have been striking and occupying over, and what you’re looking for in the new contract. People like to go off on “greedy unionists,” and wages are part of it, but not the major part of it. Workplace health and safety issues are also a major part of it. Overburdening and understaffing. A letter carrier could tell you better than I could — I’m an indoor plant worker — but the company understaffs and then relies heavily on overtime and overburdening with their bundling system. Obviously there’s an uptick in the number of parcels because of online shopping. One of the other major issues is gender pay equity. Justin Trudeau, our Prime Minister, likes to talk a big line about that but in practice… A court found that RSMCs — rural and suburban mail carriers — basically do the exact same work as urban letter carriers, but the vast majority of RSMCs are female, and the vast majority of letter carriers are male, and there is a big difference in pay between the two. We’re also trying to reclaim a lot of the stuff we lost in the 2011 contract, when we were legislated back to work by a conservative government. At that point, we had a horrible contract, lots and lots of rollbacks. Drastically reducing everybody’s wage for doing the same work. The new hires come in at $18 or $19 an hour for a starting wage and they take years longer to reach the maximum wage. It’s basically a strategy of union-busting, to divide people on the floor by having a 2-tiered system. What are your thoughts on the back-to-work legislation? There is talk of defying the back to work legislation, but that has yet to be determined. It’s a question of what arbitrators or mediators they set up [and how favorable they are to union demands]. So there’s a sliver of hope there, but if the past is any indicator, I shouldn’t be putting a lot of stock in that. As far as what we can do as a union, that’s why I’m a bit leery of criticizing the leadership in a public way, as much as I may disagree with certain things, because there’s still the whole solidarity thing to keep in mind. There’s also the question of mainstream support, which you can’t always rely on. There is definitely a public relations battle going on, and corporations are definitely winning that [in general], because they have tons of money to throw at such things. One good example is: there was a contract offer [from Canada Post], their “final offer” even though it wasn’t really a final offer. I was at a regional conference this weekend (and I was on the picket line last weekend, so I haven’t had a good bit of sleep in a while), and I found out that that final offer was released to the media before it was even brought to the bargaining table. That again shows what kind of “negotiating” they’re doing. It wasn’t a real contract [offer], it was a public relations move so they could say that they were making efforts to resolve the situation and it’s all our fault for “ruining Christmas.” Even though this mail backlog [the pretext for the back-to-work legislation] doesn’t exist – with the rotating strikes, things may be a day or two late, but the mail is still moving. The mail I work with at the plant is date-stamped and there is nothing I was working with today that was more than one or two days old. The union and the company have been talking since last November. The whole time, during negotiations, the company has been stalling. What was their game plan? Obviously it was to stall and stall until they could manufacture a crisis, and then blame us, and use that as an excuse to legislate us back to work and circumvent the entire collective bargaining process. I also spoke to a former Canada Post employee and union strategist. What position is the union leadership taking? 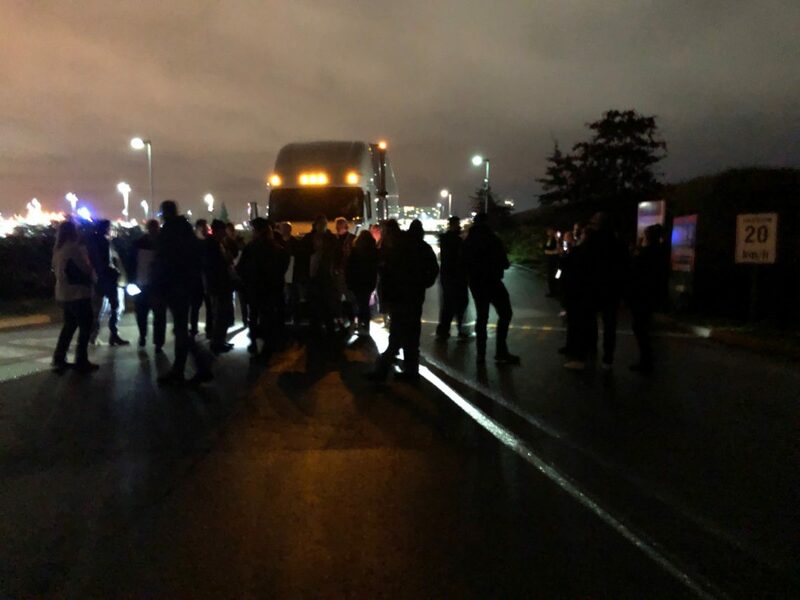 It looks like there may be a more aggressive approach going forward, from union leadership, that may skate closer to the line in terms of defiance. But it doesn’t look like defiance of the legislation is in the cards for now. It sounds like the national directors are saying to the local leadership, “what are we going to do?” But the thing is, rotating strikes require an incredible amount of centralization – in order to have one city pull it off, and then go back, and then have another city in another part of the country pull it off, and then go back — over and over for six weeks — requires a very vertically integrated chain of command. So it’s a little disingenuous to run your entire strike on a chain of command and then, when the heat is on, you turn to the local guys and say “Well I dunno, what do you guys think we should do?” The entire struggle has been predicated on direction from above. Removing that direction is setting up a situation where they can wash their hands if the ranks walk. “It’s not on us, we didn’t do anything.” But for what it’s worth, the legendary time [CUPW President] Jean-Claude Parrot was jailed [in 1979], which is a key part of CUPW identity, all he did was refuse to order people back to work. He didn’t actually incite defiance itself. So it doesn’t actually protect them. The national president has been quite loud that he’s in favor of direct action, but most of his executive board is very hostile to him. So he would have been in favor of defying, and now he’s going to be politically popular, because that’s going to play well with the ranks. Where do you think things need to go from here? One of the dangerous things in CUPW right now is the deference that rank-and-file union members pay to the union officials. Political actors inside of the union often don’t want to challenge that, they want to work with it. They think if they control the political machine, it will work differently. But it’s not enough to replace officials and have more militant leadership. There needs to be a different attitude towards leadership among the ranks. And a different idea of what leadership means inside the union, as an organization and as a movement. What about the role of those on the sidelines? I think the challenge for all of us right now is engaging critically with what’s happening and not doing anything that would sap people’s morale. Postal workers were legislated back to work [on November 27], bringing an end to 37 days of rotating strikes and occupations. It is now illegal for workers to strike. They face fines ranging from $1,000 a day for individuals, up to $50,000 a day for union officers, in addition to fines against the union. 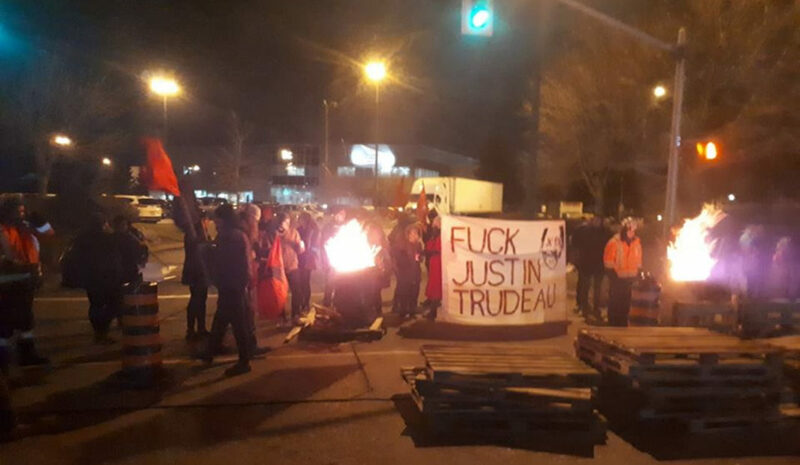 In response, a “cross picket” of supporters has sprung up outside the main mail processing plant in Vancouver, BC. There are about 50 of us on the line – we’re running a hard line out. We’re encouraging workers to come into the plant, but we’re not letting any mail out. We’re inspecting trucks to make sure they’re not carrying any mail as they leave. How long have you been holding the line so far? So it was ruled unconstitutional to have legislated you back to work last time, and it happened again this time? And like, people haven’t forgotten, because it just came out two years ago that it was unconstitutional, so like, why are we going back to work? Postal workers were legislated back to work..., bringing an end to 37 days of rotating strikes and occupations. It is now illegal for workers to strike. They face fines ranging from $1,000 a day for individuals, up to $50,000 a day for union officers, in addition to fines against the union.